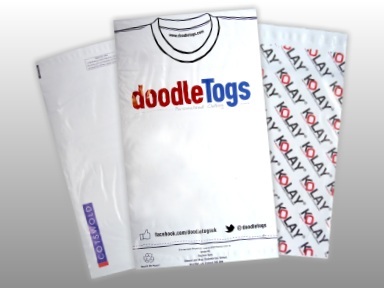 Carrier Bags is a specialist website from Polybags Ltd, the UK's premier polythene packaging manufacturer, to highlight their printed carrier bag service, which provides personalised carrier bags at fantastic discount prices. 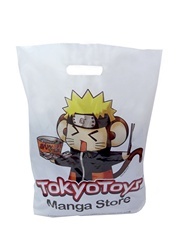 If you want carrier bags but don't need your design on them, then look no further than Polybags' extensive range of carrier bags available off-the-shelf. Polythene mailers are ideal for posting items as they are strong, lightweight and waterproof. Available in a wide range of styles to suit your postage requirements, or order personalised mailers printed with your very own design. The classic polythene bag, used by retailers and shoppers the world over. Polybags stocks a huge range of carriers in traditional polythene - clear or coloured - or biodegradable alternatives across a wide range of styles, including economy vest, patch handle, jumbo and more. You can also design your own bags with your company logo or branding. Clear polythene packing bags to suit a wide range of tasks, from protecting items in storage or transit to storing small items like nuts and bolts. Includes box liners, PolyMax extra strong bags and clear biodegradable bags. Keep items protected from water, dirt and other contamination with this range of self-seal bags, which open and close time after time thanks to an easy-to-use integral seal. 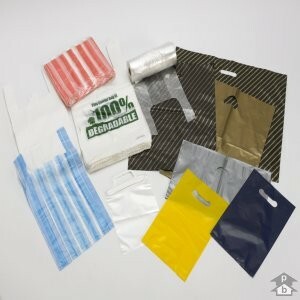 Available in a range of styles and in clear or coloured polythene. If you're looking to maintain hygiene while preparing, packing or transporting food, Polybags' range of polythene and paper bags and packaging are just what you need. Tailor-made for use with food, these products are a big hit with shops, take aways, delis and market traders. Polybags' range of waste disposal bags caters for any type of waste, whether in the home, garden, office or building site. Includes eco-friendly bags and specialist waste sacks such as those for clinical waste or handling asbestos. Look after clothes in storage or transit with Polybags' range of protective garment covers - thin polythene film sleeves shaped to fit over a coat hanger and protect a range of garments from dust, dirt or moisture. 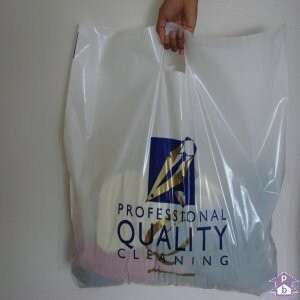 Popular with dry cleaners and laundries, along with Polybags' duvet and linen covers and plain or pre-printed dry cleaning bags. Polybags' range of display bags really make products sparkle thanks to the crystal-clear properties of polypropylene. Retailers and manufacturers love adding a touch of sparkle to their displays with these high-clarity bags. Polybags' range of vacuum packs are a favourite of the catering industry as they help extend the shelf life of food by up to five times. Woven netting bags are popular in the farming and agricultural industries - ideal for bagging heavy loads. Protect valuable or delicate items in transit or storage with this range of bubble packaging, including rolls of bubble wrap or individual bubble bags. Air-cushioned protection to give you peace of mind. Polybags' range of eco-friendly bags allow you to get the job done while doing your bit for the environment. Choose from a range of bags made from cutting edge biodegradable and degradable materials. Polythene sheeting helps protect surfaces during building or renovation work - a must have in the building trade! - while poly tubing is perfect for packaging difficult-to-wrap items. Both available on the roll in a range of styles. A huge range of accessories to ensure that your packing goes as smoothly as possible. Polybags stock a huge range of bag clips and ties, tape, strapping, heat sealers and shrink guns to seal and fasten products, loose fill to help protect products, along with with stickers, labels and document-enclosed envelopes to mark your packaging up correctly.